PHOENIX – The Arizona Coyotes announced today that the team will hold D-backs Night on Saturday, February 24 when the Coyotes host the Anaheim Ducks at Gila River Arena. Game time is 6:00 p.m. 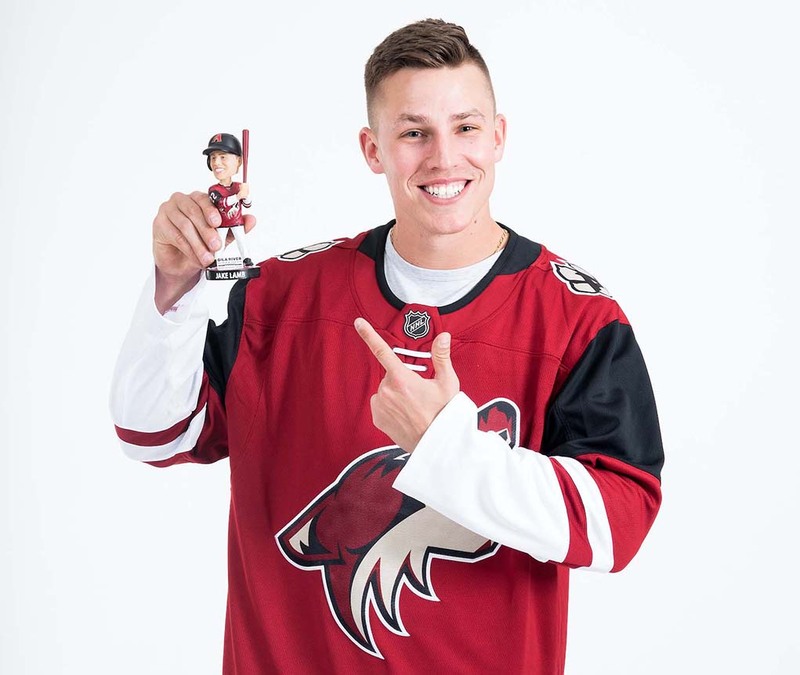 The Coyotes and Gila River Hotels & Casinos will be providing the first 7,500 fans who attend the game with a Jake Lamb bobblehead. Lamb, who was selected as a 2017 National League All-Star, set career highs in home runs (30), RBI (105) and hits (133) in his fourth season with the D-backs. As part of D-backs Night, Lamb will take part in the pre-game ceremony. In addition, D-backs mascot Baxter will be in attendance and will sign autographs for kids along with Howler during the first intermission. D-backs In-Game Hosts Mike Bauer and Vanessa Ramirez will assist with hosting duties and D-backs organist Bobby Freeman will perform throughout the game. D-backs players and alumni will also be present to cheer on the Coyotes. Once again, Coyotes players will wear special branded D-backs/Coyotes jerseys during pre-game warm up to support D-backs Night. The jerseys will be available for auction throughout the game and all proceeds will go to the Arizona Coyotes Foundation.